First let me say that I was screwing around with my website and now it's kind of a mess so my apologies. 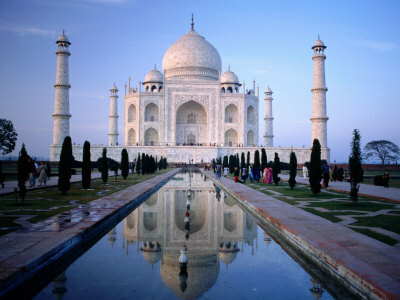 This is sooo on my bucket list, I have always wanted to see the Taj Mahal also known as the crown of palaces or as one of the most beautiful symbols of love the world has ever known. But in the interest of not losing my audience which I am sure are not all art/architecture nerds like me I will stick to the love story, which I am borrowing the words from PBS, if you would like to read the full PBS article please do. At the age of fifteen, the prince who would be called King of the World met a refined and highborn young girl (soon to be known as Mumtaz Mahal or the jewel of the palace) at a bazaar within the walls of the royal palace in Agra. Court poets celebrated the girl's extraordinary beauty. "The moon," they said, "hid its face in shame before her." For both, it was love at first sight. Five years would pass before the auspicious day chosen for their wedding, and from that moment, they became inseparable companions. 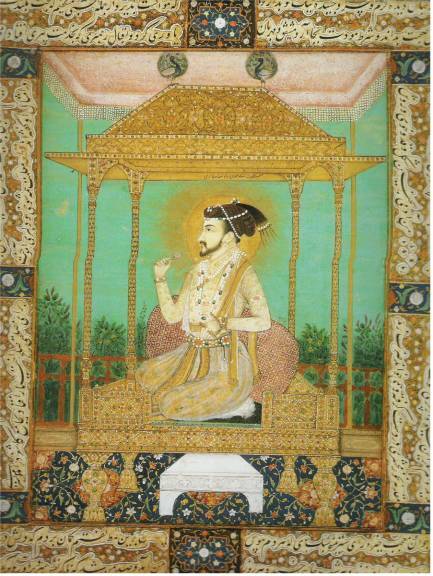 The reign of Shah Jahan marked the long summer of Mughal rule, a peaceful era of prosperity and stability. It was also an age of outrageous opulence, and a time when some of the world's largest and most precious gems were being mined from India's soil. 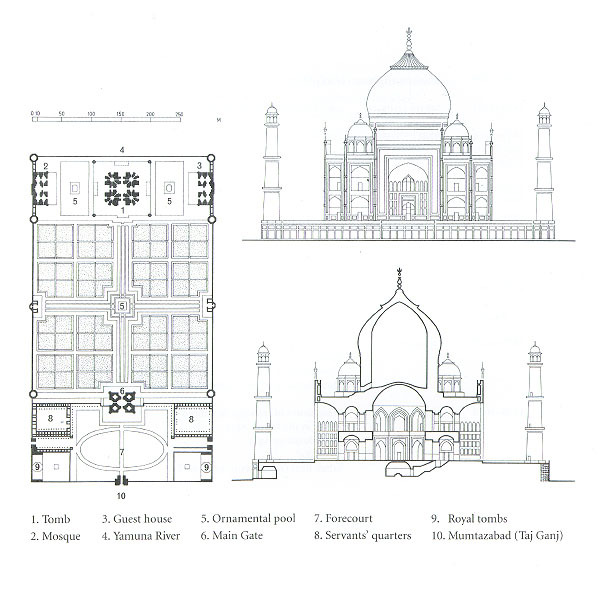 Shah Jahan had immense wealth and tremendous power and palaces all over the country." The splendor of his court outshone those of his father and grandfather. Inscribed in gold on the arches of his throne were the words, "If there be paradise on earth, it is here." In 1631, in the fourth year of his reign, Shah Jahan set out for Burhanpur with his armies to subdue a rebellion. Even though Mumtaz Mahal was in the ninth month of a pregnancy, she accompanied him as she had done many times before. On a warm evening of April in 1631, the queen gave birth to their fourteenth child, but soon afterwards suffered complications and took a turn for the worse. According to legend, with her dying breath, she secured a promise from her husband on the strength of their love: to build for her a mausoleum more beautiful than any the world had ever seen before. Shah Jahan grieved for two years. By official opinion, he never again showed enthusiasm for administering the realm. His only solace would be found in the world of art and architecture, and an obsession with perfection that would last his lifetime. Six months after the death of his wife, he laid the foundation for her memorial across the Jamuna River near his palace in Agra... the jewel of India, the far-famed Taj Mahal. 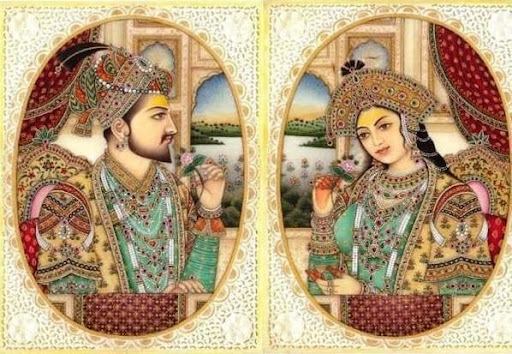 Shah Jahan created his vision of the world, not as it is, but rather as it should be – harmonious, graceful and pure. Inspired by love and shaped to perfection, the Taj Mahal immortalizes one man's love for his wife and the splendor of an era. Can you get any more romantic? Here a links to the story told in greater detail by National Geographic, the whole program is long and spread over several videos but it is excellent. http://youtu.be/J-4HY5nuiLM Enjoy!